Father's Day 2019 is fast approaching so don't be stuck for some Father's Day gift ideas. This year take the hint and find gifts for dad that will knock his socks off. Go that extra mile this year and gift an unforgettable experience perfect for every type of dad this Father's Day nz, September 2. This fathers day nz, you might be have stuck on your gift ideas for dad, but you don't have to be. Enter a RedBalloon experience! If you're looking for father's day gifts that will truly be an unforgettable present, and an experience he will be raving about to all his friends, we've got you covered. Score extra brownie points this year and give an experience your siblings will wish they thought of. We've got something for every type of dad. If you're looking for father's day ideas that will take him to new heights, the flying fox zipline and forest walk with transfers will see him soaring above the city in an epic experience. 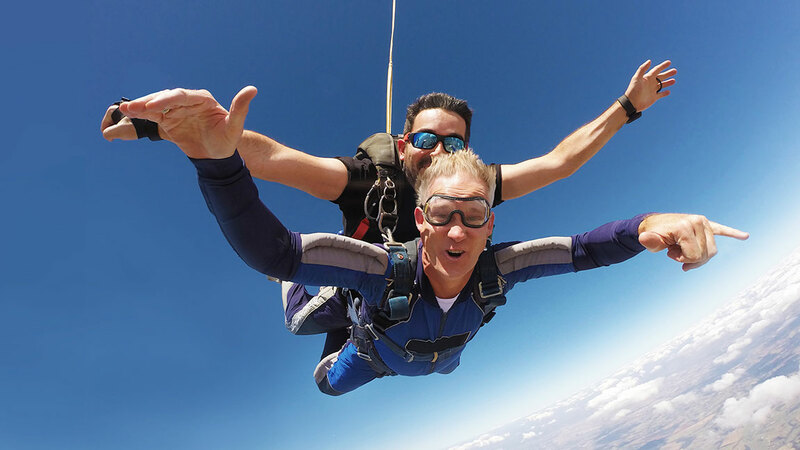 If you’re looking for presents for dad who is daredevil and loves to try new things, an experience is the perfect way to gift his adventurous side. Send him on a swim with the sharks at the national aquarium for 2 and if you’re brave enough you can even join too. There’s nothing better than spending quality time with your old man, even if it involves diving in with sharks. But don’t worry if you’re looking for father’s day gift ideas for a dad who is much more relaxed, because we’ve got something for him too. If he’s the type of dad who loves to chill out, spend his days outside or loves a good feed, the tall ship sailing adventure with lunch is perfect for him. This experience will let dad enjoy a stunning day that’ll leave him smiling. This father’s day 2019, take the hint and gift a truly memorable experience that will knock dad’s socks off. Show dad how much he means to you with your gifts for him this father’s day nz, 2nd September.